The number of records available for a study of farming multiplies substantially from the 1790s, partly due to better record survival, but also because central government was beginning to pay more attention to the productive capacity of the land. Those which do not identify individual farms are still a vital resource for parish studies, as they can give you an idea of what a ‘typical’ farm within the parish was like. Trade directories and the census can provide a limited amount of information about individual farms and farmers. 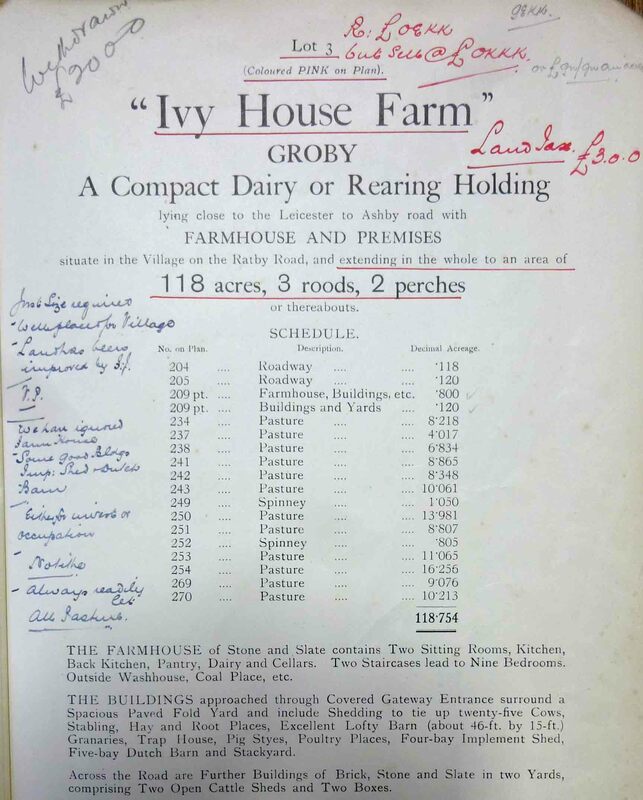 Directories (many of which are now available online) list the names of farmers, will often indicate whether they are tenants, and will sometimes also give the name of the farm and its size, particularly for the larger holdings. Land tax returns from the early 19th century will reveal if they were owners or tenants. The decennial census schedules of 1841-1911 provide the names of farmers, may indicate the location of the farm, and can also give details of the acreage and number of employees. 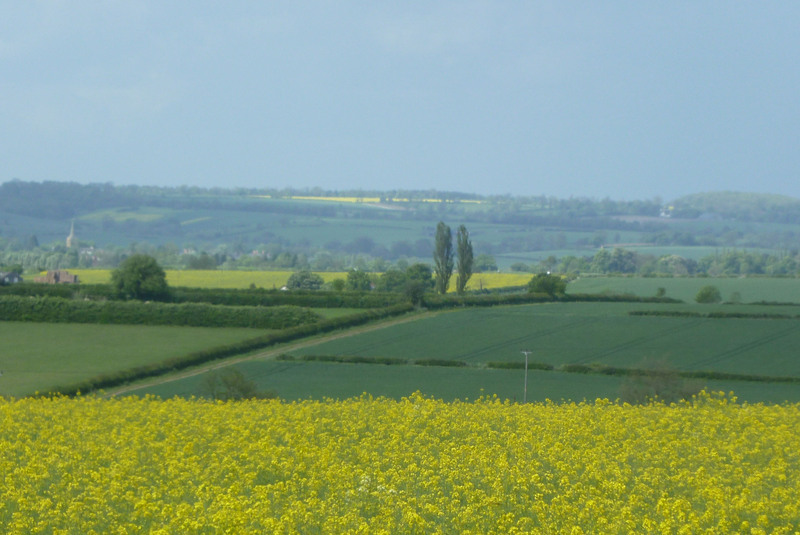 Land tax returns and the census can be consulted at the Record Office for Leicestershire, Leicester and Rutland. The fastest way to search the many later parliamentary reports on agriculture, which may contain evidence from Leicestershire farmers, is through the digitised copies, for which you would need to make arrangements with a University library. 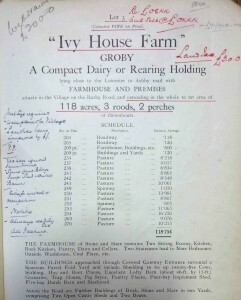 Extract from the sales particulars for Ivy House Farm, Groby, 1932, Courtesy of The Record Office for Leicestershire, Leicester and Rutland, DE 4674/395. Details of farm sales, whether by auction or private treaty, can be found in newspaper advertisements, auction catalogues and in the sales particulars prepared by valuers, auctioneers and estate agents. We are fortunate in Leicestershire as the Record Office for Leicestershire, Leicester and Rutland holds good collections of sales particulars, including a large collection deposited by auctioneers Warner Sheppard and Wade of Halford Street, Leicester, covering sales of farms and other properties across the county between 1916 and 1963. These are all listed in the card index for individual parishes, as are many other sales particulars. They can contain information about the buildings and their condition, the type of farming practised, total acreage, farm location (sometimes including the Ordnance Survey numbers for each of the fields), the separate amounts of arable and pasture land and details of any tenancy. Many farms have been placed on the market more than once, and will have more than one set of sales details, allowing their farming history to be traced at regular intervals through many years, perhaps to the present owner or until a farm was sold for housing development.